I had a pretty good routine planned for this weekend. While I knew it would be busy, I intended to work on 2 projects, spend a little time with my fleece, and spin on Saturday evening. Friday evening I worked on my amiga cardigan. I got so close to splitting out the sleeves, that come Saturday I couldn’t really stop working on it. 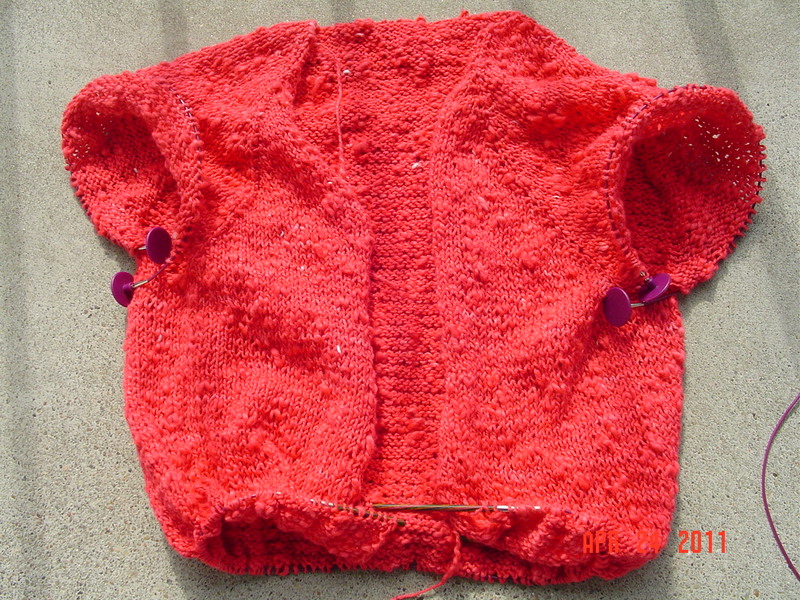 I changed my plans, deciding to work on the commission sweater on Sunday, leaving Saturday for more cardigan knitting. 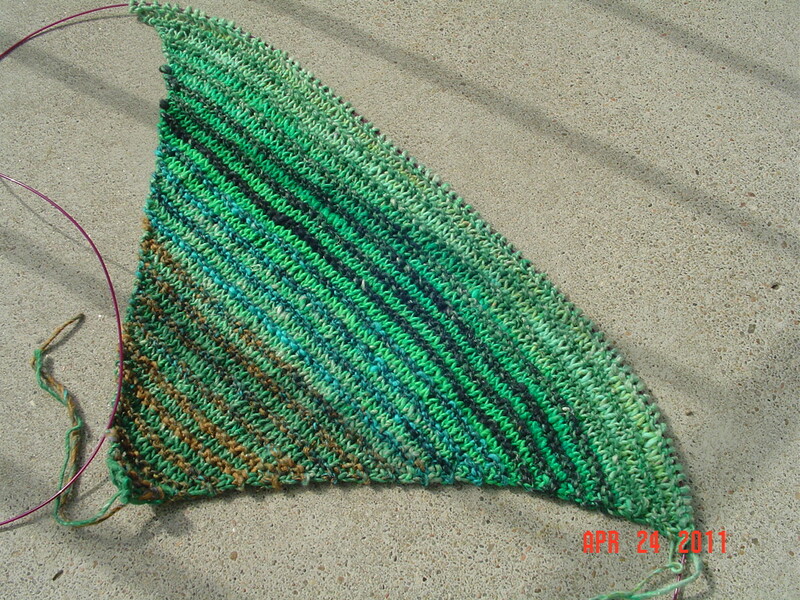 On Sunday, I was still knitting on the cardigan. That is some seriously excellent progress if you ask me. But, of course, by Sunday I was getting a little bored with project monogamy. I was also feeling a little blue about spending a holiday all alone and nowhere near family. I consoled myself, as I often do, with color. Somewhat poorly thought out knitting idea # 3298 of this year. A knitted skirt. How can I resist with cotton blend noro and color chasing?